Myrtle rust is a serious fungal disease that affects plants in the myrtle family. 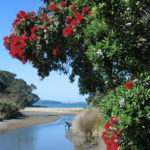 Plants in this family include the iconic pōhutukawa, mānuka and rātā as well as some common garden plants such as ramarama and lilly pilly. If you think you’ve seen myrtle rust, don’t touch it, take a photo, and call 0800 80 99 66. 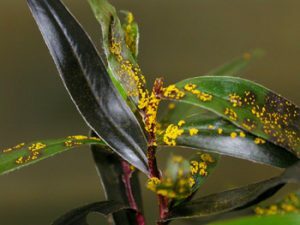 Myrtle rust is here to stay, now that the Ministry for Primary Industries has announced that it has moved from containment to management of the disease. Even though we saw this coming, the news is devastating. We still don’t know what the ultimate effect will be on pōhutukawa and rātā, but it’s undoubtedly a major setback to our highly successful restoration efforts over the past 28 years. We have to accept that despite the efforts of containment, the disease has now spread throughout most of the North Island and the top of the South and that because it’s carried on the wind it’s impossible to control effectively. brown/grey rust pustules (older spores) on older lesions. Some leaves may become buckled or twisted and die off. 1. Do not move the plants from the site or your truck. 2. 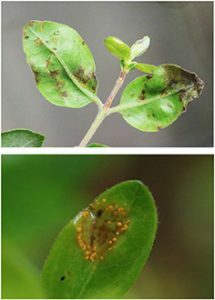 Take photos of the suspected myrtle rust and the whole plant. 3. Do not attempt to touch or collect samples as this may increase the spread of this disease. 4. If possible, isolate the plants with an igloo-hoop-like plastic cover. 5. Call MPI’s exotic pests and diseases hotline on 0800 80 99 66. Yes, last year we recommended that the planting of pōhutukawa and rāta was paused, whilst there was still hope of containment. 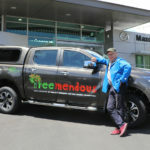 Now that myrtle rust is here to stay we encourage people to keep planting these species as it may provide a source of future trees, particularly in regions where the spread of myrtle rust is less likely (the bottom of the South Island, for instance).